The 18-hole Bluff/Cove - National Course at Reynolds Plantation in Greensboro, GA is a private golf course that opened in 1997. Bluff/Cove - National Course at Reynolds Plantation measures 7034 yards from the longest tees and has a slope rating of 139 and a 74 USGA rating. The 18-hole Cove/Ridge - National Course at Reynolds Plantation in Greensboro, GA is a private golf course that opened in 2000. Cove/Ridge - National Course at Reynolds Plantation measures 6987 yards from the longest tees and has a slope rating of 141 and a 73. The 18-hole Reynolds Plantation - Creek Club in Greensboro, Georgia is a private golf course that opened in 2007. Designed by Jim Engh, Reynolds Plantation - Creek Club measures 7079 yards from the longest tees and has a slope rating of 131 and a 72. The 18-hole Harbor Club on Lake Oconee in Greensboro, Georgia is a semi-private golf course that opened in 1991. Designed by Jay Morrish and Tom Weiskopf, Harbor Club on Lake Oconee measures 7048 yards from the longest tees and has a slope rating of 139 and a 73. The 18-hole Reynolds Lake Oconee Landing in Greensboro, Georgia is a resort golf course that opened in 1986. Designed by Bob Cupp, Reynolds Lake Oconee Landing measures 6991 yards from the longest tees and has a slope rating of 138 and a 74. 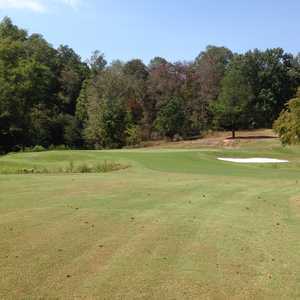 The 18-hole Reynolds Plantation - Oconee Course in Greensboro, Georgia opened in 2002. Designed by Rees Jones and Greg Muirhead, Reynolds Plantation - Oconee Course measures 7029 yards from the longest tees and has a slope rating of 137 and a 73.5 USGA rating. The course features 7 sets of tees for different skill levels. The 18-hole Reynolds Plantation - National Course in Greensboro, Georgia is a private golf course that opened in 1997. Designed by Tom Fazio, Reynolds Plantation - National Course measures 6955 yards from the longest tees and has a slope rating of 141 and a 73. 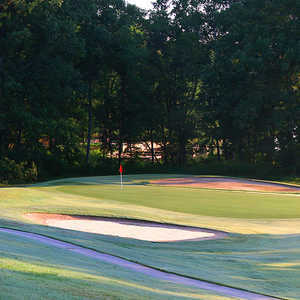 The 18-hole Preserve Course at Reynolds Lake Oconee in Greensboro, Georgia is a private golf course that opened in 1988. Designed by Bob Cupp, Preserve Course at Reynolds Lake Oconee measures 6674 yards from the longest tees and has a slope rating of 133 and a 72.